So here it is ... 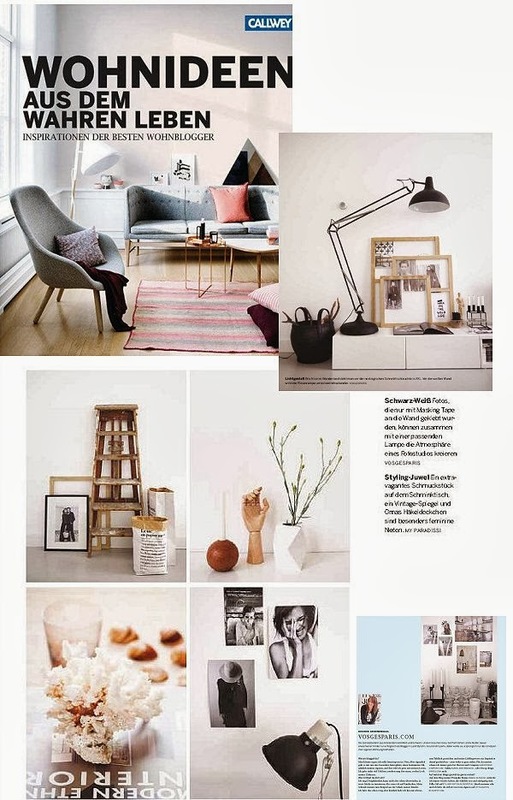 The book I worked on with 14 other well known Interior Design bloggers such as Nina|Stylizimo, Line tith Klein, Holly Becker|Decor8, Igor|Happy Interior blog Jeanette|By Fryd, Yvonne|Yvestown, Ricarda|23qmStill. We did everything ourselves, from writing the text to making our own pictures. All collected in one book and published by D. Callway. It is in German, so I can't even understand everything myself but the pictures speak for themselves. We brought the best interior design bloggers together in a large book to ask the experts for their personal tips and tricks. The book presents them and their favorite interior photos with hundreds of ideas and inspiration. This involves setting up and designing around with exciting room-by-room tours, interviews, personal quotes and short explanations. You can order a copy here: Wohnideen aus dem wahren leben / Living ideas from real life if you would like so. I am sending out 2 copy's to my readers, simply leave a comment on the blog to join in! Another one will go exclusively to one of my Newsletter members. See here what to do and subscribe by the link at the bottom or at the right side bar of the blog.